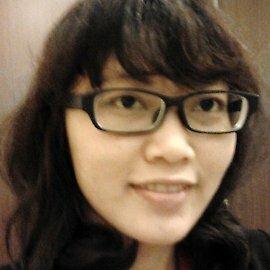 Born in 1988, Endang Pergiwa Mahayati lives in Jakarta, where she works as a web designer for an international bank. She dreams of living in Japan (her favorite city is Kyoto). She is quite interested in Japan and its culture, including Harajuku style, manga, dorama TV shows, and video games. She adores making games that are like Final Fantasy. Speaking of that, she and her friends have started a company called wepmejik, which develops websites and games. Her favorite kanji is 神 (かみ), which means "god."